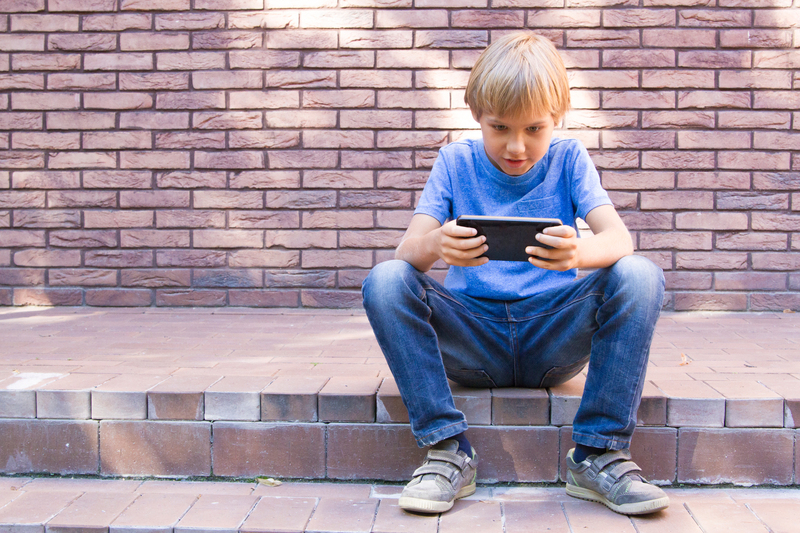 There is a big debate in this country and others over the effect of screen time on our kids. Some experts say the constant use of tech devices has a negative impact, while others argue tech use has many benefits. My thought is that the use of smartphones, tablets, laptops and more has both. Use just has to be moderated. Let’s look at both sides of the issue before deciding what to do. The Verge.com ran a great article detailing how this country, especially its parents, are divided on the issue of screen time. In the article, author Lauren Smiley relates how research on screen time with various tech device is actually very limited. Smiley notes further that studies that have been done came to mixed conclusions. According to The Verge article, some researchers liken the results of using today’s tech with results we already know about, those of an older, well studied technology, TV. Of course, TV watching in excess has been linked to obesity, poorer school performance, social and language delays, sleeping problems and difficulties within the family dynamic. Some studies link high levels of screen time to mental health problems, including higher rates of depression and anxiety. The results of another study, released in January, backed that up. This study showed that teens who get a lot of screen time are less happy and less satisfied with their lives. The study was a large national survey of eighth, 10th and 12th graders conducted annually since 2012, the year smartphones reached the 50 percent concentration point in the US. The January study found that adolescents’ psychological wellbeing decreased the higher the number of screen hours. In addition, the teens’ correlation between happiness and screen activities was negative, while the correlation between happiness and non-screen activities, such as sports and person-to-person interaction, was positive. A little older study, in 2015 in the UK, recorded the tech use activities of more than 800 14-year-olds. They then analyzed these students two years later using the UK’s standard secondary education testing protocol. The study results found that those kids spending an extra hour a day on screens earned 9.3 fewer points on the test, the equivalent of dropping a grade in two subjects. The results of the January study were not all anti-screen time. The researchers found that teenagers who get a small amount of screen time, between one and five hours a week, are happier than those who get none at all. The happiest teens, they say, are those who are above average at face-to-face social interaction and below average in social media use. There are other positive arguments made by the defenders of technology. For one, students have access to more information than ever before. Instead of having to trek to the library to do research, they have a library of information at their fingertips. They can find what they need in less than ten seconds. As a result, our kids are learning more and getting smarter. Not only does technology make getting information easier, it makes learning more fun. Our kids are spending time online, and they’re learning at the same time. The tech devises are just another way of taking in information. Kids using them don’t even see it as learning; they view it as having fun. The new tech fills in the knowledge gaps. Defenders argue against those who say the tech devices are acting as a crutch to our younger generation by making so much information available to them in an instant. Defenders say by looking something up, the kids have no choice but to absorb what they’re reading and actually learn it. They’re passively learning. The question everyone seems focused on is how much screen time is appropriate for kids, and there are no distinct rules to follow. This leaves parents to decide how much screen time their children can have each day. There are a few general thoughts on the subject to take into consideration. For one, a Harvard clinical psychologist and school consultant studied the impact of digital technology on infant brain development. She concluded there is no productive role for technology in the life of a baby under two years. Others agree with this assessment. In 2016, the American Academy of Pediatrics released its updated guidelines, suggesting no screens before age 18 months, with the exception of video chatting with family members. They also suggest kids ages two to five should be limited to one hour a day with exceptions for educational programming. They leave it up to the parents to limit screen time for kids over five. Tech Advisor, a company in the UK, agrees with the AAP’s guideline for children under two and those two to five. They go further, however, and recommend kids five through 18 get no more than two hours of screen time per day. This does not include time at school if their school uses tablets for student education or for homework. It includes leisure activities on tech devices. Check access and availability. Don’t let your kids have TVs, computers or any other device with a screen in their bedrooms. Set rules. Set screen time protocols for your family, and create media-free zones in your home. Explain the reasons for limiting screen time. Discuss the dangers of excessive screen time with your children. They’ll be more open to limits if the dangers are clearly pointed out. Be a role model. Set the example. Limit your own use of computers and smartphones. Your kids won’t be willing to reduce their time on tech devices if you’re constantly using yours. Take breaks. Screen time often leads to over-stimulation. Have your kids take breaks to calm down their brains. No screens before bedtime. Most screens use LCDs that emit a blue light that inhibits sleep and the circadian rhythm. Leave an hour or so after screen use before bedtime. There are more tips on the second page of this article, as well as some ideas for alternatives to screen time. There are no hard-and-fast rules about screen time, but there are a few guidelines. Still, it’s up to you to decide how much screen time your kids get each day. Use your best judgment.